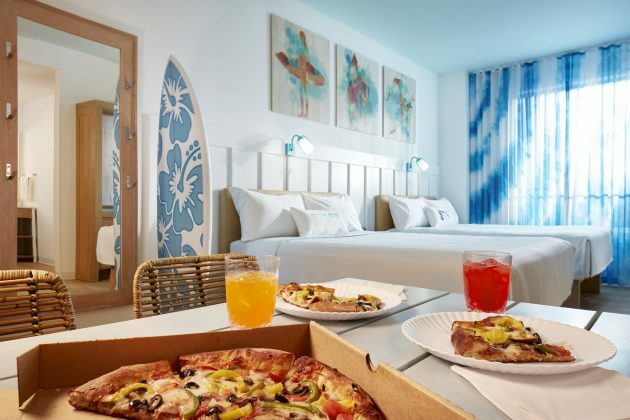 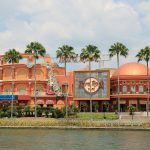 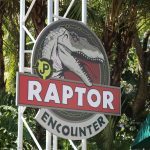 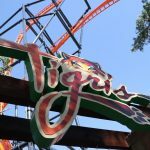 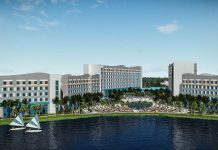 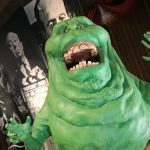 Universal Orlando Resort has provided a first look at the guest rooms inside its newest and seventh hotel, Universal’s Endless Summer Resort – Surfside Inn and Suites – set to grand open next summer 2019. 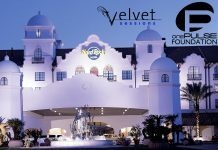 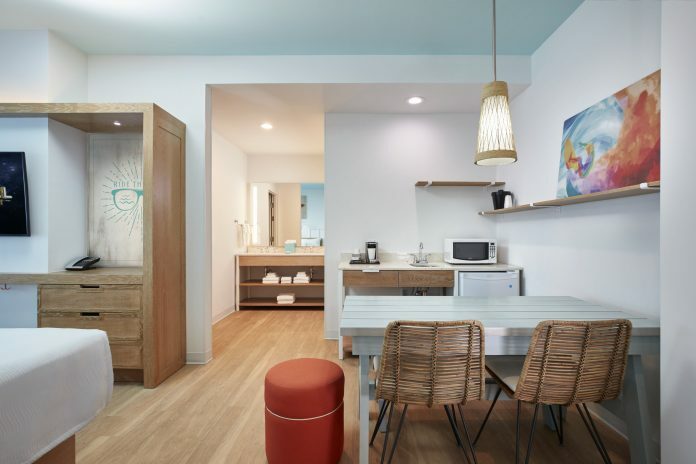 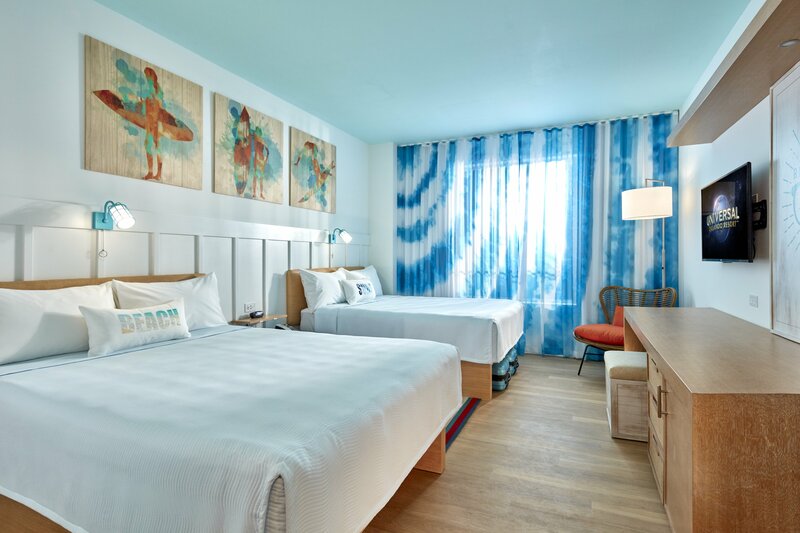 From the vibrant color scheme to warm wood tones, guests will step into the free-spirited lifestyle of surf culture at Universal Orlando’s first-ever Value category hotel. 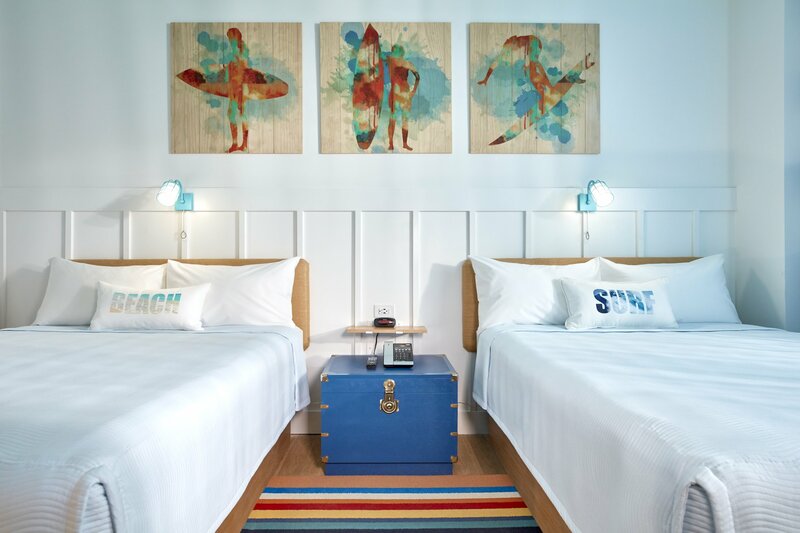 Details like a full-sized surfboard, colorful artwork, bright pinstriped rug runners, and tie-dye curtains will be featured inside the rooms. Surfside Inn and Suites will include 750 guest rooms and 2 Bedroom Suites all boasting bright and beachy design elements. 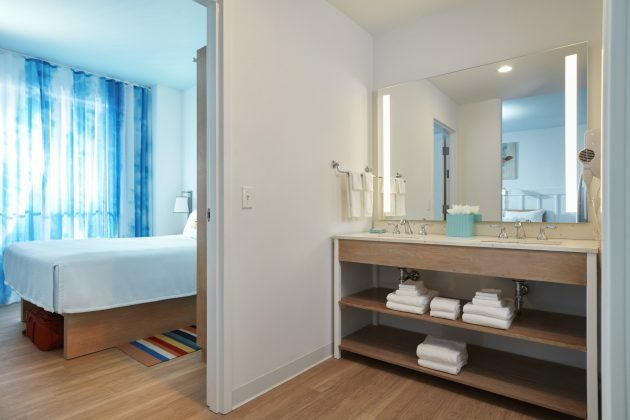 The 2 Bedroom Suites sleep up to six and include three queen-sized beds, a separate bedroom, and a kitchenette area. 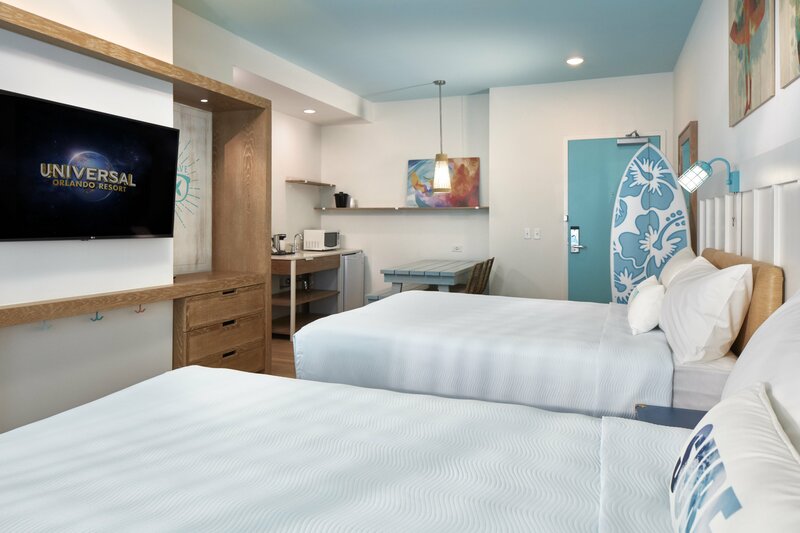 With rates starting at less than $100 per night, Surfside Inn and Suites will introduce extra affordability to guests’ Universal Orlando vacations without sacrificing exclusive theme park benefits like Early Park Admission and resort-wide transportation. 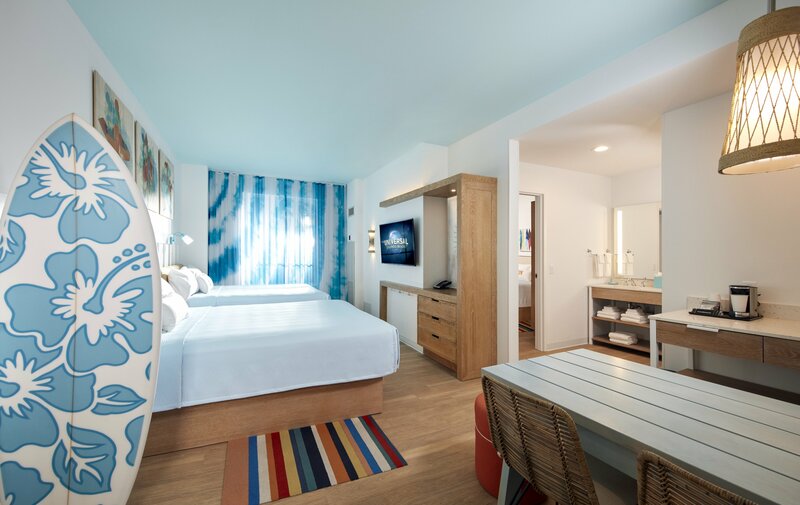 Guests staying at Universal’s Endless Summer Resort will receive all of the exclusive benefits that come with staying at a Universal Orlando hotel: Early Park Admission, free transportation to CityWalk and the parks, and resort-wide charging privileges with your room key. 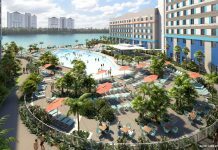 Universal’s Endless Summer Resort will be the Resort’s first-ever “Value” category property. 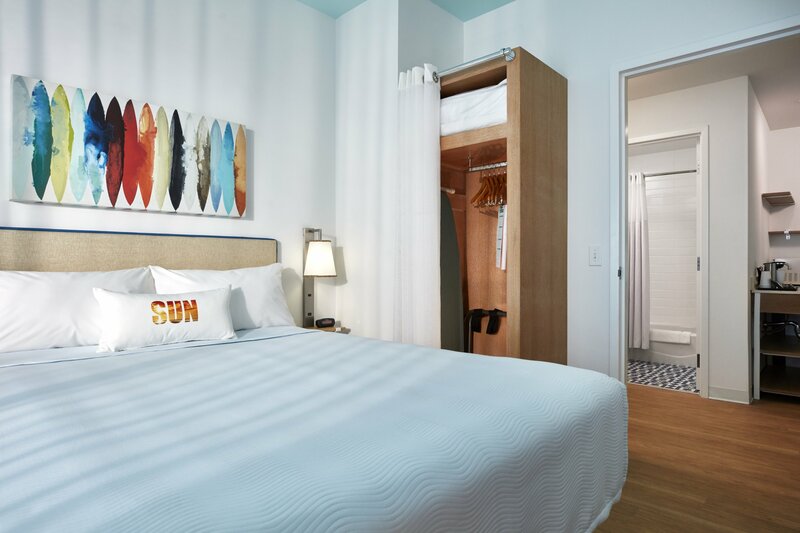 Rates for a seven-night stay start at just $73 per night for a standard room, and $111 for a 2 Bedroom Suite. 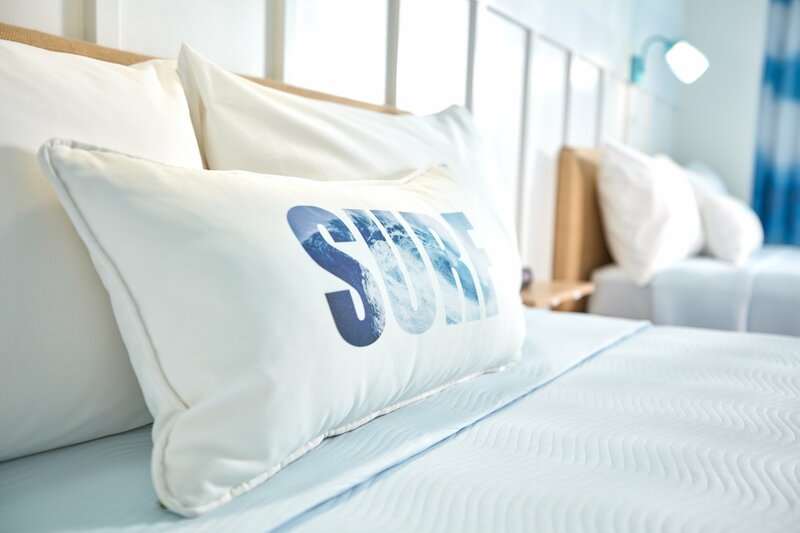 Stay tuned to Inside Universal for more about Surfside Inn and Suites and its sister property, Universal’s Endless Summer Resort – Dockside Inn and Suites.